Bonaire’s active fun is limitless. And so is our passion to help you experience Bonaire. Bonaire never bores the active. Along with mountain biking, kite boarding, kayaking, nature hikes and bird watching, it’s an ideal destination for families to share time participating in recreation and discovery. Bonaire is a kayaker’s dream. You can paddle miles of turquoise coastline and beaches. Explore hidden canals and lakes within a forest of mangrove trees. Cross stunning natural lagoons or challenge the sea to an off-shore island. Rental kayaks are easily arranged on Bonaire and guided tours are offered by several companies. There are two main areas where most kayaking takes place. 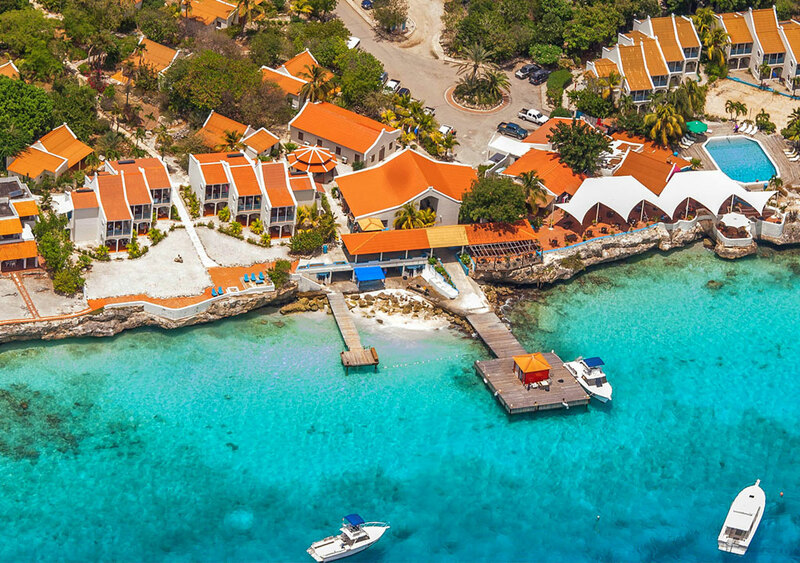 Along Bonaire’s western coastline, you’ll find kayaks available at many of the oceanfront resorts as well as dive operations. And at Lac Bay, kayaks can be rented at both windsurfer centers as well as at the Mangrove Information Center, where guided excursions through the mangrove forest ecosystem are offered daily. Most kayaks are floatable, sit-atop models that a novice can master in short time. 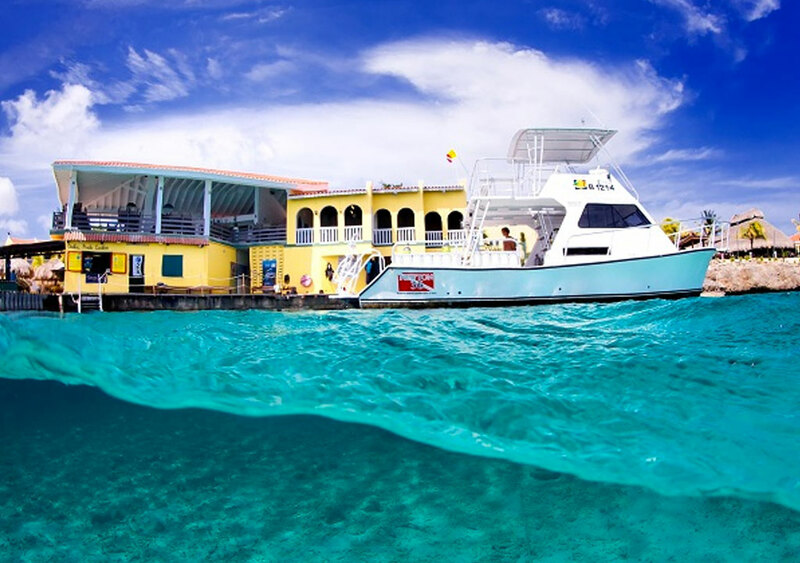 Divers can take courses in learning kayak scuba diving and snorkelers will find it the perfect vehicle to reach many of Bonaire’s sites along the coast and at Lac Bay. At Bonaire Pros, we’re on top of Bonaire’s best kayaking! Blessed with consistent wind and an ideal location for kiteboarding, it’s no wonder Bonaire has become one of the Caribbean’s best spots for this growing sport. At Atlantis, on Bonaire’s southwestern coast, you’ll find an expansive area of primarily flat water -- perfect for long reaches up and down the coastline with easy launching from one of Bonaire’s largest beaches. At this natural kite beach, winds blow consistently offshore across the uninterrupted lowland with shallow, flat waters near shore and deeper waters with more rolling swell further out. There are two kiteboarding schools here, Kiteboarding Bonaire and Bonaire Kite School, both offering instruction, rentals and on-water assistance. They have a surf camp set up with shade and equipment right on the beach. Food and beverages are also available here, courtesy of Bonaire’s famous Cactus Blue food truck. Lessons can be arranged for any level of kite surfer, with instructors in the water and in small boats alongside the student. Bonaire kiteboarding students also wear radio helmets for communication and instructions. Both schools offer rental kites and boards for experienced kite surfers. 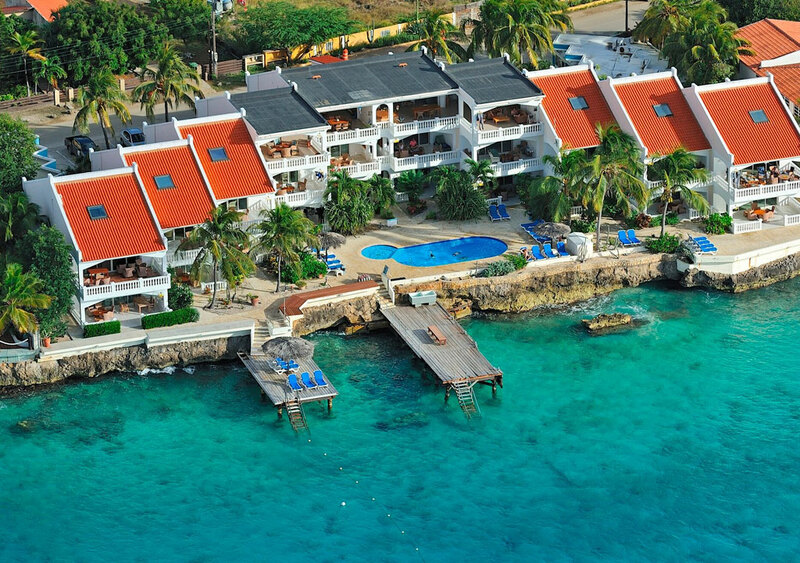 We’re happy to assist visiting kite surfers with conveniently located accommodations, rental vehicle and setting up a Learn to Kiteboard vacation on Bonaire. There’s no better place to start. Even if you’re not into kiting, make a point to visit this amazing location to watch the incredible action and have a bite to eat and drink. Bonaire’s unique landscape makes cycling an experience that combines fascinating scenery with a choice of challenges. Choose from long flat roads hugging the coastline to hills and off road trails that will test the most skilled mountain biker. Bike rentals are readily available on Bonaire for any style of cycling and there are miles of marked trails as well as guided bike tours for all levels of riders. Imagine descending underground on Bonaire to find a world of ancient fossil reefs and limestone spires. Bonaire’s extensive cave system can be explored with a guide where you’ll visit both dry caves as well as wet caves with crystal clear water where you can swim and snorkel. Catch a glimpse of unusual subterranean creatures and learn more about Bonaire’s ecosystem and history. Bonaire fishing is primarily done off-shore for wahoo, snapper and dorado – all delicious species you’ll find in Bonaire’s restaurants . But Bonaire’s enviable location near the La Guaira Bank bring in marlin, sailfish and tuna as well. Another well-kept secret? Bonaire offers light tackle and fly fishing for bonefish and permit in shallow wading flats on the island. Experienced guides and charter boats are available. With its steady trade winds and protected leeward side, Bonaire offers sailors a natural playground. Catch an excursion aboard one of Bonaire’s many sailing charters for snorkeling, dinner cruises or sunset sails. Experienced captains can rent several types of daysailers and catamarans. And for those looking to learn, sailing instruction is available for adults and children within Bonaire’s protected harbor area. Book a 7 night Drive and Dive package including 6 boat dives and get 3 extra boat dives FREE and 50% off food at Blennies Restaurant. Book a 7 night stay with 6 days unlimited shore diving and 6 boat dives and the 2nd diver gets their diving FREE! Valid for guests in Deluxe Ocean View rooms and Deluxe Jr Suites only. Book a Drive and Dive package and every 2nd diver pays the non-diver rate. Includes oceanfront apartment, truck or van, unlimited shore diving with boat dive options and more.